The new themed area will also offer multiple new food options. Miners Café will be serving up protein bowls, Mess Hall will offer Asian cuisine, The Chuck Wagon will have hot dogs and sausages, and Goldrush Junction will be on-deck with sweet treats like funnel cakes and butter tarts. Plus, Klondike Outfitters, a new shop beside the Yukon Striker, will have gifts and pics of your ride experience on offer. 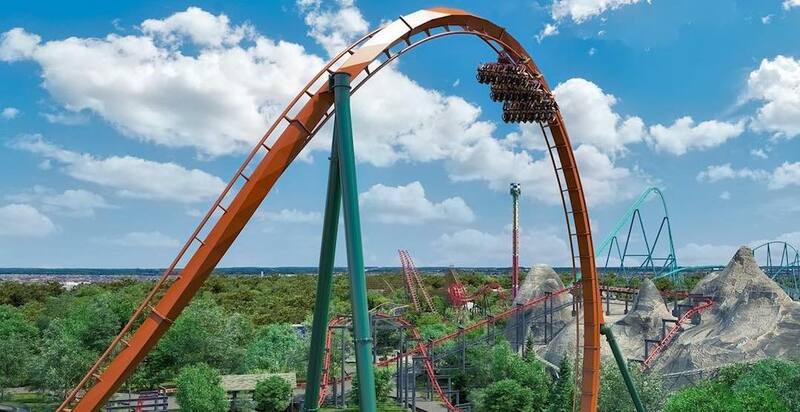 The Frontier Canada-themed section of the park was actually in Canada’s Wonderland’s original plans, but when it wasn’t included in the actual build-out, developers held onto the idea until the Yukon Striker came around. In another type of blast to the past, the southeast portion of the park has returned to its original section name of Grande World Exposition of 1890. There, you’ll find a brand-new virtual reality experience. In Medieval Faire, Wonderland Theatre is now Canterbury Theatre, which is also a flashback to its original name from 1981 – and this year will feature a new show called “Tundra – A Cirque Experience.” You’ll get the chance to journey through the Arctic to witness wild displays of acrobatics set against the Northern Lights. Other attractions reclaiming their original names include Dragon Fyre, Viking’s Rage, Wilde Knight Mares, and Wilde Beast. And while you can count on The King’s Feast for your classic deep-fried indulgences, the new Grab & Go Market in International Festival will be serving up healthy salads and wraps. And with all these additions, of course, there needs to be a goodbye. Orbiter, the circular Skylab attraction also once known as Sol Loco, has made way for a path that joins Action Zone to Frontier Canada. If you want to get into the fast lane with Fast Lane Passes, you’ll now find them at the south window at Front Gate (G10), the location in Medieval Faire by Wilde Knight Mares (L6) or the new location by SkyHawk (F6). They will no longer be offered at The Locker Room on International Street. So now that you’re up to speed with what to look forward to at the park this year, start prepping for your May 3 adventure! And if you’re a season pass holder, you can peek even sooner at the sneak preview night on April 26.